In “The Europe Report: A Win-Win Situation” the Mayor of London’s Chief Economic Advisor, Dr Gerard Lyons, considers how London’s economy would be affected by four different scenarios based on the UK’s relationship with Europe in 20 years time. London alone is currently the ninth biggest economy in western Europe and its £350bn economy represents 22.5 per cent of the entire UK economy. It is the first time that an economic forecast regarding London’s relationship with the EU has looked two decades into the future and their results, according to Gerard, clearly indicate that the best economic scenario for London would be for the UK to remain part of a reformed European Union. However they also indicate that a scenario where the UK leaves the EU but continues to conduct outward looking and positive economic policies with the EU and the wider world offers nearly the same level of benefits. A third scenario where the UK remains in an unreformed EU offers far less opportunity for economic growth and a worst case scenario where the UK leaves the EU and operates isolationist economic policies would cost London’s economy more than one million jobs. To find out more about Gerard Lyons, or to book him as a speaker, please contact Alex Hickman on 0044 (0) 20 7792 8004. Professor and Vice-Chairman of Geography, UCLA, Laurence C. Smith, combines the lessons of geography and history with state-of- the-art model projections and analytical data to present a revolutionary picture of what our world might look like in 40 years’ time. 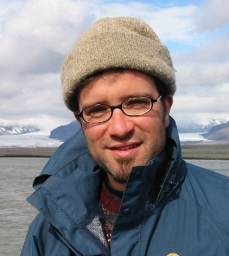 Laurence is also advisor to Congress and the UN and on climate change and his work on northern climate change has been funded by the Guggenheim Foundation, the National Science Foundation, and the National Aeronautics and Space Administration. Click here to read more about his book “The World in 2050: Four Forces Shaping Civilization’s Northern Future” (Dutton, 2010) which argues that humanity’s future prosperity lies in the Arctic rim. Click here to read Laurence’s latest research, co-written with with Scott R. Stephenson: “New Trans-Arctic shipping routes navigable by mid-century” which projects unprecedented new Tran-Arctic shipping routes based on climate forecasts for the years 2040 to 2059 and is the first thorough assessment of this of this kind.